Want an even quicker version of THESE treats? Stamp, stamp, punch, punch, stick, stick – You’re Done!! 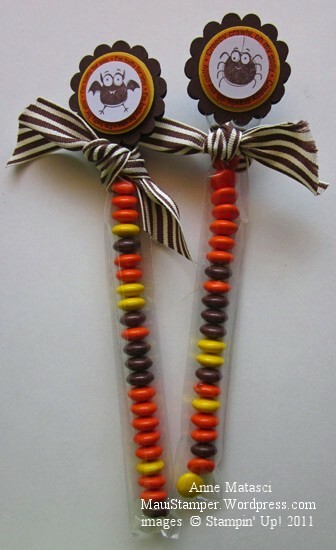 and even quicker if you stuff the bags with candy corn instead of reese’s pieces! i’ve made some up for my friends this year. so easy! !